An international team, led by scientists from the Max Planck Institute for the Science of Human History and in collaboration with scientists from the United Kingdom, Turkey and Israel, has analyzed 8 pre-historic individuals, including the first genome-wide data from a 15,000-year-old Anatolian hunter-gatherer, and found that the first Anatolian farmers were direct descendants of local hunter-gatherers. These findings provide support for archaeological evidence that farming was adopted and developed by local hunter-gatherers who changed their subsistence strategy, rather than being introduced by a large movement of people from another area. Interestingly, while the study shows the long-term persistence of the Anatolian hunter-gatherer gene pool over 7,000 years, it also indicates a pattern of genetic interactions with neighbouring groups. Farming was developed approximately 11,000 years ago in the Fertile Crescent, a region that includes present-day Iraq, Syria, Israel, Lebanon, Egypt and Jordan as well as the fringes of southern Anatolia and western Iran. By about 8,300 BCE it had spread to central Anatolia, in present-day Turkey. These early Anatolian farmers subsequently migrated throughout Europe, bringing this new subsistence strategy and their genes. Today, the single largest component of the ancestry of modern-day Europeans comes from these Anatolian farmers. It has long been debated, however, whether farming was brought to Anatolia similarly by a group of migrating farmers from the Fertile Crescent, or whether the local hunter-gatherers of Anatolia adopted farming practices from their neighbours. Video interview with the researchers describing the findings of the publication Feldman et al. 2019. In addition to the long-term stability of the major component of the Anatolian ancestry, the researchers also found a pattern of interactions with their neighbors. 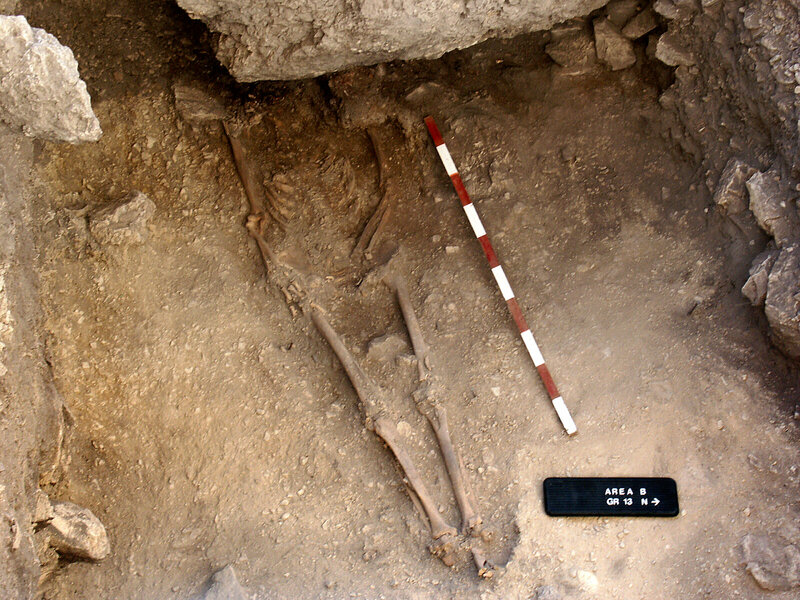 By the time that farming had taken hold in Anatolia between 8,300-7,800 BCE, the researchers found that the local population had about a 10% genetic contribution from populations related to those living in what is today Iran and the neighbouring Caucasus, with almost the entire remaining 90% coming from Anatolian hunter-gatherers. By about 7000-6000 BCE, however, the Anatolian farmers derived about 20% of their ancestry from populations related to those living in the Levant region.